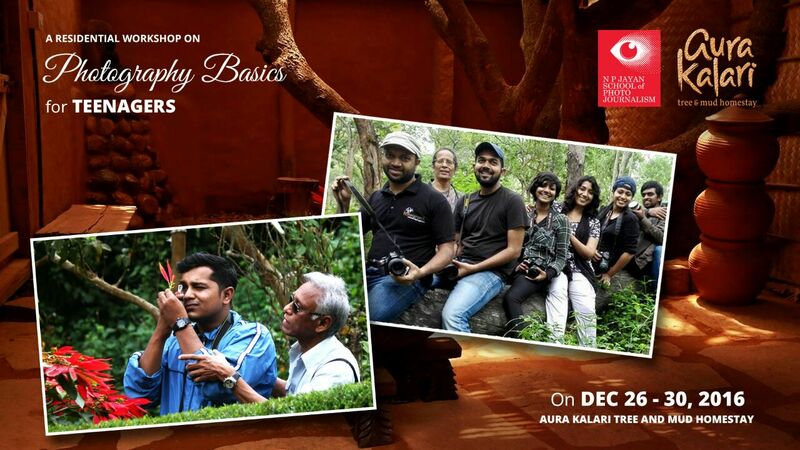 NP Jayan School of Photojournalism and Aura Kalari Tree n Mud House homestay is conducting a 5 day residential Basic photography workshop for Teenagers at Aura Kalari from 26 th to 30 th December 2016. Hi I am Rajeev here from Aura Kalari. This is a Tree House and Mud House Home stay made to promote environment protection, sustainable construction & architecture.As Part of our life skills training for the youth for this vacation, we are organizing a Photography Workshop for Teenagers to be conducted at our space which would give them a feel of living close to nature. 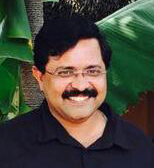 Mr. Radhakrishnan Kallar ‐ Vice President ,Creative Links India; Talk on Commercial Photography. 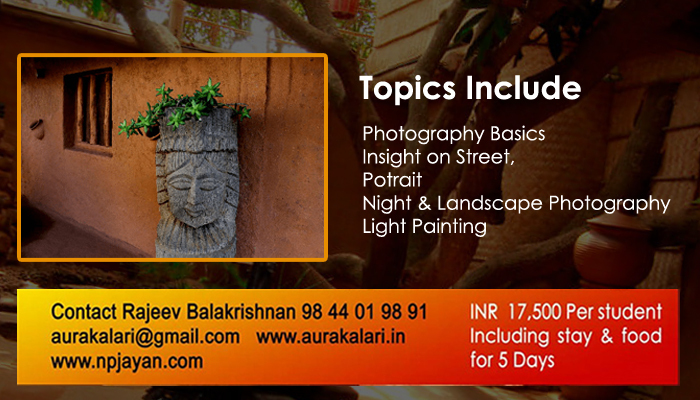 Also Street, Night,Candid,Landscape,Mobile Photography and Light Trail Painting will be covered in the workshop. The concept about this workshop is to understand basic photography skills for the youth and can be learning from the experts in the field in a very interactive and practical way. We wish to bring them home and close to nature by experiencing a natural eco‐friendly ambience stay and homely food at our tree and mud house homestay in the bustling city of Bangalore. Site Visits, Nature Walk, Games ,Story Telling, Camp Fire, Tenting, Barbeque, …..
Come have Fun n Learn photography.